Makes a great novelty yet practical gift for the avid gardener! The Lawn Ranger Thermal Hat is perfect for him when braving the elements. 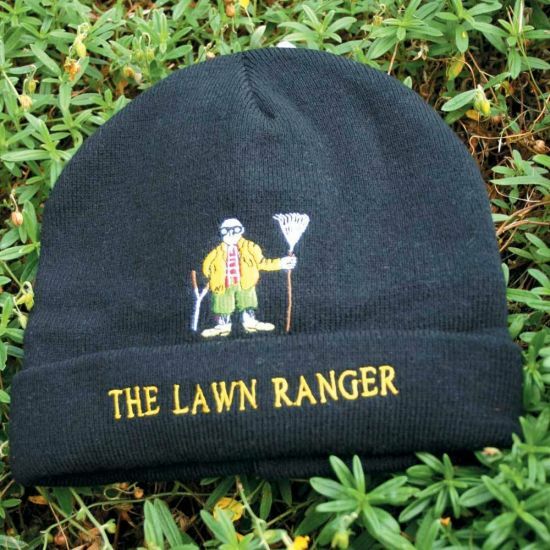 Embroidered with The Lawn Ranger design by renowned Devon artist Simon Drew, this thermal lined beanie hat is made from 80% acrylic and 20% cotton and makes a great novelty yet practical gift for the avid gardener. It will keep his bonce warm and snug when he just has to do pruning or digging during the colder weather.